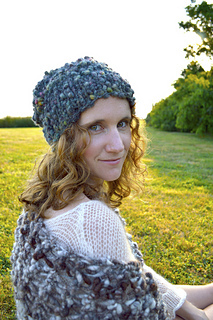 This hat has that perfect nonchalant slouchy shape that is so tough to come by and so satisfying once you find it. 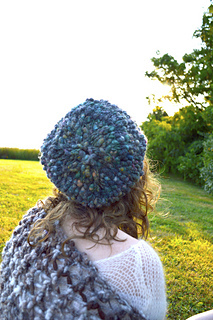 It is snug around your ears and slightly loose up top (but not too loose!) for ideal scrunching. 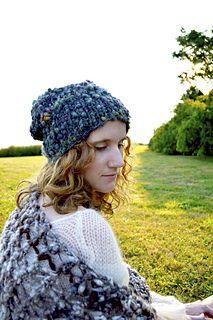 This pattern knits up in 1 skein of Cast Away and is a beautiful way to show off the subtle textures and colors of the yarn. 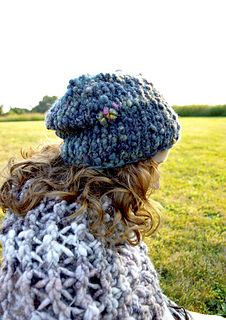 The hat shown here is knit up in the color Charcoal Blossom.